Carla L. Garrett, Administrative Law Judge (ALJ), Office of Administrative Hearings (OAH), heard this matter on December 5, 2012, in Rancho Cucamonga, California. 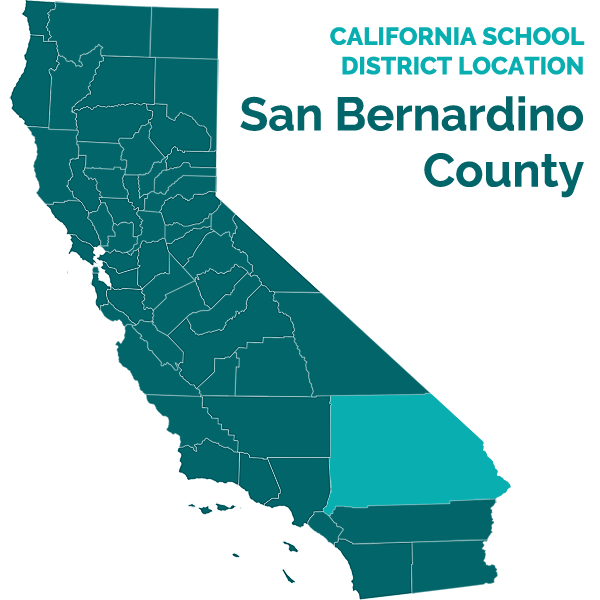 Karen Gilyard, Attorney at Law from the law firm of Atkinson, Andelson, Loya, Rudd & Romo (Atkinson), represented the Cucamonga School District (District). District representative, Richard Dahlin, Director of Personnel and Pupil Services, attended the hearing, as well as Amy Foody, Program Manager of the West End Special Education Local Plan Area (SELPA). In addition, Kristin Myers, Attorney at Law from Atkinson, attended the hearing for observational purposes only. Student’s mother (Mother) attended the hearing and represented Student. Student’s grandmother also attended the hearing. District filed its request for due process hearing (complaint) on October 12, 2012. On October 26, 2012, for good cause shown, OAH granted the parties’ joint request for continuance. On December 5, 2012, at the close of the hearing, the parties were granted an additional continuance to file written closing arguments by December 19, 2012. Upon the timely receipt of District’s written closing argument, the record was closed and the matter was submitted. Mother failed to file a written closing argument on Student’s behalf. Does District have the right to perform triennial assessments of Student, pursuant to an August 29, 2012 assessment plan, to determine Student’s educational program, including related services, without parental consent? 1. Student is an African-American nine-year-old boy, who, at all relevant times, resided within the boundaries of the District. Student is eligible for special education under the primary eligibility category of autistic-like behaviors, and the secondary category of speech or language impairment. Student currently attends the Ontario Center School (Ontario Center) in District and is in the third grade. He spends the majority of his school day in a general education setting and receives resource support, as well as speech and language therapy. 2. On October 29, 2009, when Student was in kindergarten, District conducted formal assessments of Student, which his individualized educational program (IEP) team used to determine his placement and related services. Student was due to be assessed again in three years (i.e., triennial assessment), by October 29, 2012. 3. On August 21, 2012, Student’s resource specialist teacher, Lisa Baltierra, placed in Student’s backpack an assessment plan prepared by District’s school psychologist, Andria Leahy. The purpose of the assessment plan was to set forth areas designated for Student’s triennial assessment. Specifically, the assessment plan proposed that District’s special education teacher would assess Student in the area of academic/pre-academic achievement, and explained that the assessments would measure basic reading and comprehension, written expression, math calculation and reasoning, oral expression and/or listening comprehension. The plan also provided that the speech and language pathologist would assess in the area of language, speech, and communication development. The plan explained the tests would measure Student’s ability to understand, relate to, and use language and speech clearly and appropriately, and would measure auditory processing skills. In addition, the plan provided the nurse would assess in the areas of health, vision, and hearing. The plan noted the tests would measure vision, low vision, hearing, health, developmental history, medial history, and would include a review of medical records. Finally, the plan proposed that the school psychologist would assess in the areas of psycho-motor development, social-emotional functioning, self-help, career, and vocational abilities. The plan explained that in the area of psycho-motor development, the school psychologist would measure Student’s ability to coordinate body movements in both small and large activities, as well as visual perceptual skills. In the area of social-emotional functioning, the plan explained the school psychologist would measure Student’s ability to build and maintain satisfactory relationships and demonstrate appropriate behavior across situations. In the area of self-help, career, and vocational abilities, the plan described that the school psychologist would measure Student’s daily living skills and adaptive functioning across different settings, as well as measure Student’s interest and abilities relative to levels of skill development, work readiness, and/or occupational preparation. The plan also stated that parents’ consent was necessary to assess Student. 4. In addition to the assessment plan, Ms. Baltierra included in Student’s backpack a notice of procedural safeguards, as well as forms for Mother to complete. Specifically, she included a parent interview form, a developmental history form, a nurse’s health and developmental history form, a parent form for the Childhood Autism Rating Scale (CARS), a parent rating scale for the Behavior Assessment System for Children, Second Edition (BASC-2), and a parent form for the Adaptive Behavior Assessment System, Second Edition (ABAS-II). 5. On the same day, Ms. Baltierra sent Mother an email advising that Student’s backpack contained the assessment plan, and requested that Mother sign it and return it to school. 6. School psychologist, Andria Leahy, testified at hearing. Ms. Leahy has been employed with District since July 2012 as the coordinator of special education, as well as a school psychologist. Ms. Leahy received her associate’s degree in fine arts from Citrus College in 1995, her bachelor’s degree in liberal studies from California State Polytechnic University in 1997, and her multiple subject credential from California State University at Long Beach in 1998. Ms. Leahy earned her master’s degree in educational psychology from Azusa Pacific University in 2002, and her pupil personnel credential in 2010. She also has a Cross-cultural Language and Academic Development (CLAD) certificate, authorizing her to teach students of multicultural backgrounds. She has worked as a school psychologist since 2009, and from 2010 to 2012 she worked as a clinical case supervisor for an applied behavior agency. From 1997-2009, prior to working as a school psychologist she was a general education teacher. 7. District requested Ms. Leahy to assess Student in the areas of psychomotor development, social-emotional functioning, self-help, career, and vocational abilities for his 2012 triennial assessment. She had planned to use a number of instruments to assess Student. Specifically, she had planned to administer the Wide Range Assessment of Memory and Learning, Second Edition (WRAML-2), the Test of Auditory Processing Skills, Third Edition (TAPS-3), the Beery-Buktenica Developmental Test of Visual-Motor Integration, Sixth Edition (Beery VMI-6), the BASC-2, the CARS, and the ABAS-II. She also planned to review Student’s work samples, classroom work, and planned to conduct observations in the classroom and during physical education class. During the course of her career as a school psychologist, Ms. Leahy has assessed 200 to 300 children, including 25 to 50 African-American children. In addition, she has administered the WRAML-2 50 to 75 times, the TAPS-3 approximately 200 times, the Beery VMI-6 200 to 250 times, the BASC2 75 to 100 times, and the CARS and the ABAS-II approximately 50 times each. None of these tests was designed to measure intellectual ability, intelligence, aptitude, mental age, cognition, or was designed to correlate with an intelligence quotient (I.Q.) test. In addition, these tests were not on the prohibitive or caution lists distributed by the California Association of School Psychologists, which identified tests that measured, used, or could potentially use I.Q. data when calculating assessment results. 8. Ms. Baltierra testified at hearing. She has been employed by District for 15 years, five of those years a resource specialist, and the balance as a general education teacher. Ms. Baltierra received her associate’s degree from Fullerton College in theatre arts in 1990, her bachelor’s degree in social sciences from Chapman University in 1996, and her master’s degree in education from Chapman University in 2005. She earned a multiple subject teaching credential, as well as her special education teaching credential. District requested Ms. Baltierra to assess Student’s academic achievement for his triennial assessment. Ms. Baltierra planned to administer the Woodcock Johnson III Tests of Achievement (WJ-III), which was a test designed to test all core areas of academics. The WJ-III was designed to compare one student’s achievement against the achievement of other students of the same grade and subject matter. The test was normed for all students, including African-Americans, and was not used to measure I.Q.. Ms. Baltierra has administered the WJ-III in excess of 100 times. 9. Language, speech, and hearing specialist Kathleen Coles testified at hearing. Ms. Coles has been employed with District for seven years, the first three of those years as a sixth grade teacher, and from August 2008 to May 2012 as a language, speech, and hearing specialist. She earned her bachelor’s degree in liberal studies from the University of La Verne in 1994, and her master’s degree in education from Azusa Pacific University in 1997. She earned her teaching credential in 2000 from Chapman University. She also obtained a master’s degree in communication disorders from California State University at Northridge in 2012. She received her preliminary credential in speech and language in July 2012, and previously held a waiver credential from August 2008 through July 2012. 10. Ms. Coles had provided speech and languages services for Student for the past two years, and had been requested by District to conduct a speech assessment of Student for his 2012 triennial assessment. Student had not had his language skills formally assessed for over three years, and Ms. Coles believed District needed more current and relevant data. She had planned to administer the Diagnostic Evaluation of Language Variance (DELV), which she had administered 10 times over the course of her career, the Listening Comprehension Test (Second Edition), which she had administered five to 10 times, and the Test of Problem Solving (Third Edition), which she has administered four times. She also planned to use informal measures, such as classroom observations, language samples, and the Slosson Articulation Language Test (SALT), which was a software program that measured various aspects of language (i.e., the number of words per second a person used, the degree of variation, and the degree of reformulation). All of the proposed measures were normed for all children, including African-American children, and none of the proposed measures were culturally biased, designed to measure mental ability, or were associated with any tests related to I.Q.. Ms. Coles believed the DELV was especially appropriate for Student, because the DELV specifically addressed children with language variations, including those found in some African-American children. As such, she planned to look at the results of the assessment to determine whether the results accurately reflected Student’s ability, or whether any language variation was due to his cultural background. She has assessed approximately seven other African American children, and has conducted at least 100 speech and language assessments over the course of her career. 11. District nurse, Victoria Whisler, testified at hearing. Ms. Whisler has been a registered nurse since 1979, and has been a nurse with District for nine years. Ms. Whisler earned her associate’s degree in nursing from Chaffey College, and her bachelor’s degree in health care management from the University of La Verne in 2003. She received her registered nurse license and her school nurse credential in 2007. In her capacity as a District nurse, she has conducted health assessments of more than 1,000 students, at a rate of approximately 130 students per year. District requested Ms. Whisler to conduct a health assessment of Student in connection with his 2012 triennial evaluation. In that regard, Ms. Whisler had planned to test Student’s vision, hearing, blood pressure, fine motor skills, gross motor skills, height, and weight. In addition, Ms. Whisler planned to update Student’s medical history by using information Mother was to provide on the health and developmental history form included with the August 21, 2012 proposed assessment plan. 12. On August 27, 2012, Mother returned the assessment plan to District unsigned. Instead, Mother wrote a note on the assessment plan requesting that District prepare a new assessment plan without any language indicating that a special education teacher would assess Student’s academic achievement, because Student was “not in a special education class.” Mother completed and returned the parent interview form, most of the nurse’s health and developmental history, the parent form of the ABAS-II, and the parent form of the CARS. 13. On August 29, 2012, Ms. Leahy, to appease Mother, sent her an amended assessment plan that indicated that District’s resource specialist would assess Student’s academic achievement, instead of a special education teacher, even though they were one and the same. Ms. Leahy felt Mother would feel more comfortable if a resource specialist were listed on the assessment plan, because Student had been receiving resource support services as part of his educational program. All other areas of the proposed assessment plan remained the same. Ms. Leahy also included a notice of procedural safeguards with the amended assessment plan. 14. On September 20, 2012, Student’s IEP team convened to discuss Mother’s concerns regarding Student’s program for the school year, specifically in the areas of classroom materials, homework, and assessments. The attendees included Mother; Student’s grandmother; Ms. Leahy; Ms. Baltierra; Ms. Coles; the principal of the Ontario Center; Student’s general education teacher; and the director and the case supervisor of Autism Behavior Consultants. 15. At the IEP meeting, District members provided Mother with a list of proposed assessments District intended to use for Student’s 2012 triennial assessment. District members asked Mother regarding the status of her signing the assessment plan, to which Mother responded that she required additional time to review the assessments that would be used. To assist Mother with the decision-making process, Ms. Leahy and Ms. Coles agreed to give Mother the assessment instruments District used to assess Student three years prior, as well as the current assessment tests and/or protocols Ms. Leahy and Ms. Coles planned to use for his 2012 triennial assessments. District members requested that Mother advise Ms. Leahy by September 24, 2012 of her decision regarding the proposed assessment plan. 16. On September 25, 2012, at a parent-teacher conference, Mother advised Ms. Baltierra that she was not going to sign the assessment plan for Student’s triennial evaluation. 17. On September 27, 2012, Richard Dahlin, District’s Director of Personnel and Pupil Services, sent Mother a letter concerning the triennial evaluation. The letter advised that Student’s triennial assessments, which required Mother’s consent, were due on October 29, 2012. Mr. Dahlin also advised that District, pursuant to the Code of Federal Regulations, could seek to override the consent requirement, should Mother refuse to consent to the triennial assessment. Mr. Dahlin requested Mother to notify him by October 1, 2012 whether she would sign the assessment plan provided to her on August 29, 2012, and which was discussed at the September 20, 2012 IEP meeting. Mr. Dahlin’s letter also included a copy of District’s procedural safeguards notice. 18. Mother did not provide Mr. Dahlin with her consent to the assessment plan by October 1, 2012, as he had requested. 19. On October 4, 2012, Mother sent Mr. Dahlin an email advising she did not receive his September 27, 2012 letter until October 2, 2012, and would need time to respond to it. Mother stated she would have an answer to Mr. Dahlin by October 8, 2012. 20. On October 4, 2012, Ms. Leahy sent Mother a letter via U.S. and certified mail, return receipt requested, concerning the parent forms Mother completed and returned on August 27, 2012. Specifically, Ms. Leahy requested Mother to advise her in writing by October 10, 2012 whether she would consent to Ms. Leahy’s review and consideration of the information contained in the parent forms for Student’s triennial IEP meeting, to be held in October 2012. Ms. Leahy advised that if Mother failed to provide a written response concerning the content of the completed forms, District would consider Mother’s non-response as her nonconsent to the review and consideration of the information at Student’s triennial meeting. Ms. Leahy’s letter included a copy of procedural safeguards. 1 Standardized Testing and Results. 2 Mother filed no prehearing conference statement, failed to participate in the prehearing conference, presented no evidence at hearing, and failed to file a closing brief. As such, the ALJ determined Student’s contentions from the line of questions Mother asked witnesses at hearing. 21. On October 9, 2012, Mother sent Mr. Dahlin a letter in response to his September 27, 2012 letter, stating that she decided to opt Student out of “taking further STAR 1 /Assessment testing,” because Mother believed Student had not received testing accommodations in accordance with his IEP. STAR testing was not an area of testing set forth on the proposed assessment plan. Mother’s letter did not address the assessment plan concerning Student’s triennial evaluation, or any of the proposed testing instruments Ms. Leahy and Ms. Coles had previously provided Mother, and Mother never addressed these issues prior to the filing of District’s complaint. Mother never responded to Ms. Leahy’s letter. 22. Mr. Dahlin testified at hearing. Mr. Dahlin interpreted Mother’s October 9, 2010 letter as a refusal to sign the assessment plan. Mother never signed the assessment plan. 1. District contends it has the right to perform a triennial assessment of Student, pursuant to its August 29, 2012 assessment plan, as it has not conducted any assessments of Student since October 29, 2009. District further contends that its assessment plan was appropriate, and that the assessments were necessary to provide Student with an appropriate placement and related services, as the 2009 assessment data were out of date. Mother disagrees, and contends that the assessment tools proposed by District violated the injunction issued in Larry P. v. Riles (Larry P.) (9th Cir. 1974) 502 F.2d 973, and were, therefore, inappropriate. 2 Specifically, Mother argues that all of the proposed tests District intended to administer to Student involved I.Q. testing, which the Larry P. injunction prohibited with respect to African-American students. 10. In Larry P. supra, the Ninth Circuit Court of Appeals enjoined California schools from using standardized intelligence tests for the purpose of identifying African-American students for special education and services. (Larry P. v. Riles (9th Cir. 1974) 502 F.2d 963.) The rationale behind the prohibition was that school districts were finding a disproportionate number of African-American students eligible for special education services under the eligibility category of mental retardation based on intelligence testing. 12. As was stated in Legal Conclusion 4, District must assess Student every three years, unless an assessment is waived by both District and Student. To override the parental consent requirement for triennial assessments, District must prove that it met all of the statutory requirements of notice to parents and must prove that the proposed assessment plan was appropriate. 13. Here, Student had not been assessed since 2009, when he was a kindergartener, as Mother has refused to provide her consent for District to conduct triennial assessments. The evidence showed that District provided Mother an assessment plan on August 29, 2012 for Student’s triennial assessment due by October 29, 2012, which included an explanation of the proposed assessment areas, as well as identified the District staff who would be administering the assessments. In addition, the August 29, 2012 proposed assessment plan included a copy of Parents’ procedural rights, explained that Mother’s consent was necessary to assess Student, and explained that the District would not implement an IEP without the parent’s consent. However, despite District’s reasonable efforts to obtain it, Mother declined to provide her consent. Specifically, District amended the assessment plan pursuant to Mother’s request, provided her with test protocols and past assessments, wrote her multiple letters, and waited patiently for Mother to provide her consent, namely, six weeks subsequent to its August 29, 2012 assessment plan, before filing its due process complaint. 14. While Mother contends that the tests that District staff had planned to administer to Student, an African-American, violated the Larry P. injunction because the tests purported to involve I.Q. testing, Mother presented no evidence to support this contention. In fact, the evidence showed, through the credible and uncontradicted testimony of Ms. Leahy, Ms. Baltierra, and Ms. Coles, that the tests they proposed to administer were not normed against African-American children, were not culturally biased, were not designed to measure mental ability, were not designed to measure intelligence, and were not associated with any tests related to I.Q. 1. The District may assess Student pursuant to the August 29, 2012 assessment plan without parental consent. 2. District shall deliver to Mother by certified mail at her last known address, notice of the dates, times, and locations of the assessments set forth in the August 29, 2012 assessment plan. Mother shall present Student for the assessments on the dates, times, and at the locations set by District. 3. If Mother fails to present Student for the various assessments set forth in the August 29, 2012, assessment plan, District is relieved of its obligation to provide Student a FAPE, and shall not be obligated to provide a FAPE until Mother requests an assessment, consents to the assessment plan the District provides in response to her request, and presents Student for the assessment as set forth in such assessment plan.